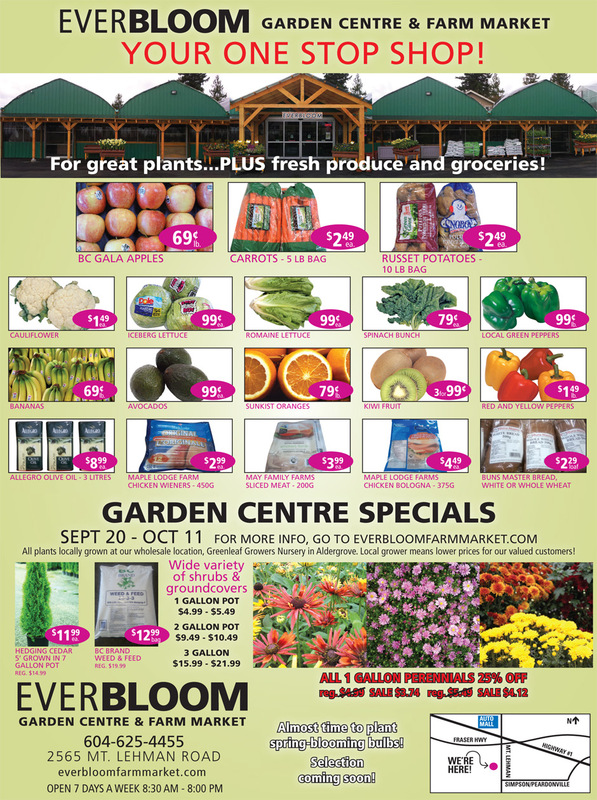 For great plants, PLUS fresh produce and groceries! ©2012 Everbloom Garden Centre & Farm Market. All Rights Reserved. Vancouver Web Design & Development by The Dolon Group.